Eataly recommends this wholesome and tasty instant dessert, made with organically produced fair trade ingredients. 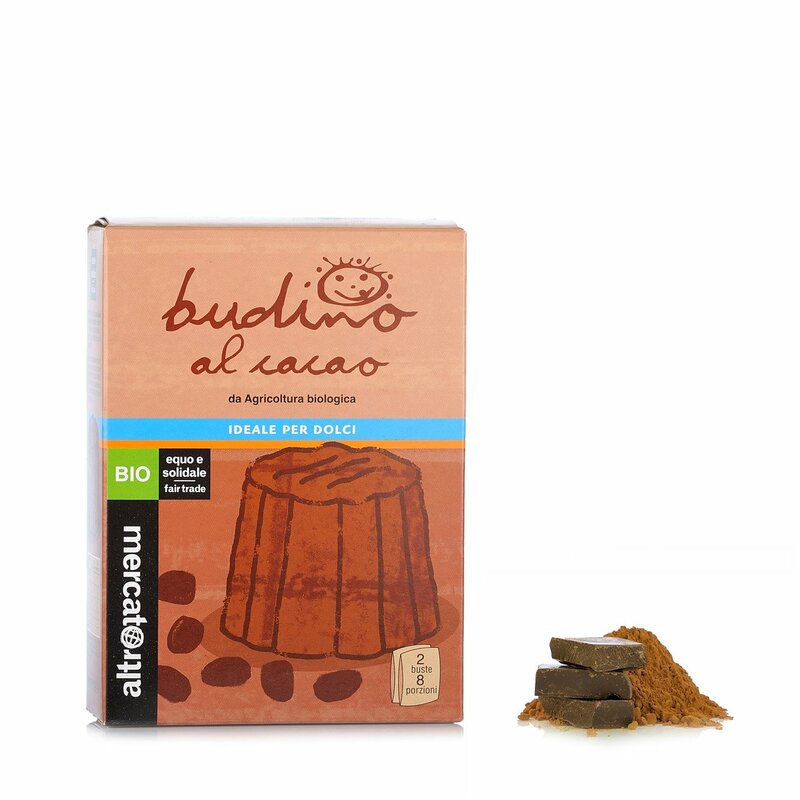 Altromercato's cocoa budino mix is made from extra fine cocoa powder obtained from organic cocoa pods sourced from producers, notably Conacado, operating in the Dominican Republic. This prized ingredient is then combined with cane sugar from the Paraguayan cooperative society Manduvirà for genuine natural sweetness. Just follow the easy instructions on the box to make a tasty dessert that also helps to spread fairness in the world. Altromercato has a long history as a point of reference in the fair trade market, which aims to promote sustainable development in the southern hemisphere as in the north. The company produces a broad range of foods including beverages made using traditional recipes and with carefully selected ingredients, and sweet products for breakfast or a tasty snack during the day. Eataly chose Altromercato because of the unique flavour of their wholesome products promoting health and fairness in the world.